This just in:Â Vancouver has been ranked fourth on the world’s list of least affordable cities.Â This is well ahead of cities like Manhattan, San Francisco, London, Paris, and Hong Kong.Â As most rational people know, the city’s thundering real estate market has been bolstered by rampant speculation and constant construction of new condominiums.. but salaries, and the city’s economic development, have not kept pace. The survey quoted in the article cites research indicating that the cost of housing in Vancouver is massively disproportionate to median salaries earned by its residents, specifically when compared to other cities around the world.Â The median house price in Vancouver as of the time of the survey is 8.4 times the median income — 8.4 yearsÃ¢â‚¬â„¢ average income to purchase a house, compared to the average median in Canada: 3.5. What this tells you is that the fundamentals that support high real-estate prices are simply not there in Vancouver.Â People just don’t earn enough income to sustain this market at such lofty prices whereas in cities like New York and San Francisco, where real estate prices are indeed higher, median incomes are substantially higher and thus can support high prices. Affordable commerical real estate is hard to come by in the city — leading in some cases to a perverse reverse-commute where urbanites must schlep out to the suburbs to their workplaces — but more importantly this discourages companies from locating here. Most large cities with expensive downtown cores operate as financial centres — the aforementioned London, Hong Kong, and New York spring to mind.Â Vancouver does not, except for our storied love affair with ponzi schemes.Â Without the sustaining flow of capital through our city there is highly limited opportunity for local investment. We’re still a bunch of tree-cutting, pickaxe-wielding hicks.Â And BC’s resource industries, the bread and butter of Vancouver for more than 150 years, are weak thanks to everything from the US softwood lumber tarriffs to Kyoto to a number of key mining company collapses.Â Our province has failed to diversify its economic base substantially away from resource businesses. The advanced industries like software and aerospace that keep California sizzlin’ have failed to grow in scale in this city.Â Investment in this area is weak, with very little private investment and weak government support (nearly all of the Venture Capital in Vancouver is government-derived).Â We did however blow >$500 million on a handful of useless fast ferries, though.Â Two notable exceptions are alternative energy and biotech.Â For now, at least, they are humming along. The film industry, which we in BC have courted for decades, is a fickle bride.Â Since productions are built for each project and torn down when completed with little long-term planning, unfavourable economic winds mean that producers can pull up stakes and shoot in South Carolina, Mexico, or wherever they can cost-optimize.Â In any case, the profits are retained in New York and LA… like a Mumbai call centre, we’re just an outsourcer. Drugs, and by “drugs” I mean the cultivation and distribution of marijuana, constitutes probably the largest industry in BC and it flies completely under the regulatory / taxation radar.Â Conservative estimates peg this at between $5Bn and $7Bn per year.Â These people have a hard time getting mortgages.Â They also tend to be undesireable tenants, since they tend to get arrested/shot at/sent into hiding — that is if they don’t blow up their penthouse with a meth lab. Our transportation infrastructure is pathetic, particularly when compared with major metropolitan areas (of which Vancouver is now one) such as Boston, Montreal, Toronto, New York, London, Tokyo, and others.Â If we wish to become a center of commerce then we need to be able to move people around better.Â Skytrain is a laughing stock and the West Coast Express, which goes to a handful of proximate suburbs from the downtown core twice a day each way, doesn’t even merit comparison with the British Urban Railway system.Â Our highways (such as they are) subject people to multi-hour commutes to travel 20km.Â We have failed, failed, FAILED to build infrastructure and it will continue to haunt the city for decades to come. For those of us in the technology industry, certainly during this housing price spike, Vancouver seems an illogical place to locate our startups or ply our trades in information technology.Â While the average condo price can be as high as 2x-2.5x the price of a comparable condo in Toronto or Montreal, our salary variance is just 103.5% the national average, versus 104.2% for Toronto and 103.9% for Montreal (this according to the 2009 Robert Half Salary Guide for Technology Professionals).Â While we spend more to live here in Lotus Land, we sure don’t make up for it in income. So how high is too high?Â Right now we are finding out. If you were blindsided by the Vancouver Real Estate crash then you were clearly in a profound state of self-delusion.Â Evidently that list of deluded fools includes our civic leaders who played russian roulette with the city’s finances, underwriting the now disastrous Olympic Village project in which the taxpayers stand to lose as much as $750 Million.Â Still, even amid the free-falling values, Realtors and Developers are outright lying to you… inviting you to join in their deathmatch with catch phrases like “don’t wait too long” and “strong fundamentals“.Â Where have we heard that before?Â Oh right, it was John McCain, about the US Economy in September – days before it collapsed.Â Oops. UPDATE: In a passionate article, former mayor Sam Sullivan says the Olympic Village is not a clusterf*ck. Speculators and developers will beg to differ (they’re invested in fostering positive vibes) but remember:Â they’re betting with your money, not their own.Â Condos down the street from ours were forced into liquidation at 40% off, and there have been stories of other developers dumping their inventory at similar price cuts.Â This is the beginning of a trend, not a sign of the bottom, so if you’re foolishly lining up to jump in at this point, you get what you deserve. Not until a software engineer making $60K-$70K per year can buy a 1-Bedroom apartment in the city will the fundamentals be aligned and the market be stabilized.Â This means mortgage + maintenance of less than $1500 per month using the 30% rule.Â On a 25-year mortgage that probably means this 1BR apartment has to be less than $200K.Â If the research that started this article can be believed, we should expect an adjustment of as much as 60% across the board to bring Vancouver back to the Canadian mean. So in other words, wait ’til the bottom really drops out, Vancouverites..
And then we can start figuring out why no one in this city (not even the property developers, after 2007) makes any real money. Some people prefer to buy custom essays using the writing services just about Still a lot more. An IT instructor recently told his class that for a few thousand per month he can hire a topnotch team of 5 IT experts to work for his business out of India (via the internet). He said he would never hire any of his IT students in Vancouver – it just wouldn’t make any financial sense. This is the crux of the matter. US and Canadian incomes will fall; Asian incomes will rise. In the meantime, there will be more unemployment coming here, and without a doubt downward pressure on incomes… and house prices… and rents. Many people in Vancouver are in denial because they put all their eggs in to their real estate basket… everyone was saying, you better get in or get left behind. 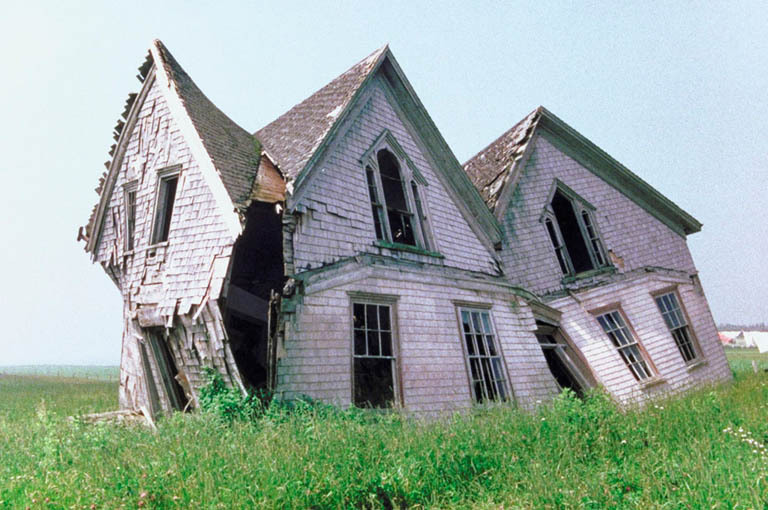 Let’s remember that a house is a depreciating asset… it rusts, weathers, and falls into disrepair, not to mention falling out of style (and energy-efficiency rating). 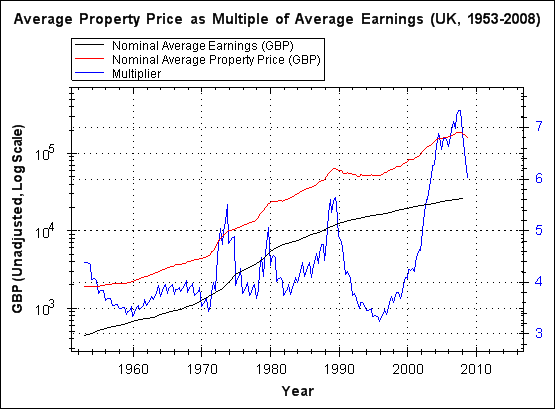 Why should a house cost over 8 years of earnings, when it takes less than a year’s labour equivalent and perhaps another year’s worth of material cost to build? And those costs will surely come way down with the end of the construction boom. Correct. BC frequently feels like an ersatz California. A much blander, scrubbier, tattier version. It even has its own poor man’s wine region. The Okanagan doesn’t hold a candle to the Napa/Sonoma area. Don’t get me wrong; I *like* BC. But it is by no means “the greatest place on Earth”. People who think otherwise SERIOUSLY need to get out more. “Liveability” as defined by The Economist is totally different from the factors that draw large numbers of people to a city. Vancouver is a clean, orderly city with some nice local skiing and hiking, and some horribly boring architecture. It is not “world class” by a long shot: it’s essentially full of mildly affluent rubes. It is a million miles from being any kind of centre of power, money or culture. It’s an easy-going backwater with an over-inflated sense of its own greatness. Try living in some REAL cities (NYC, London, Tokyo, Chicago, Sydney) and you’ll be in doubt as to the difference. @Peter Eller Ultimately what determines real estate prices is supply and demand. You can’t possibly argue that we’re not shifting from a market in which supply was relatively tight to one in which there is a glut of inventory. Behind that shift is rising unemployment and mean / median incomes that will probably fall over the next year, and banks who are tightening up the conditions under which they’ll provide credit to consumers. Economics 101 tells you that prices have to fall a lot further than they have to date. The fact that Vancouver is a desirable place to live will be reflected in the extent to which, even after they fall 15-20%, prices in Vancouver will still be substantially higher than those in less desirable markets where prices are *also* falling. I just spent the past weekend in Seattle and met up with a buddy that’s currently living in Seattle, however he’d lived in Vancouver for a number of years. We had an interesting conversation about the cost of living between the 2 cities. Despite Seattle having a much larger base of higher paying jobs (think of the corporations centred in Seattle, Starbucks, Microsoft, Amazon, Boeing, Weyerhauser, and a much more dynamic tech startup scene), Vancouver has a higher cost of living due to astronomical real estate prices and clearly was a bubble. When real estate bubbles burst prices drop severely, as they’ve done in the US. Speculators leave in droves and homeowners have negative equity – I wouldn’t want to be renegotiating with a bank in the next few years. These 2 factors put severe pressure on prices. Regarding BC’s status as a great place to live artificially inflating house prices, if home prices in California have caved, prices will cave in BC. BC’s nice, but it has nothing compared to some areas of California. And by the way, the Case-Shiller index, which tracks the price of real estate in 20 US cities, showed that between 1895-1995 housing prices increased by the the inflation rate. There was no capital appreciation in the long term. What’s happened in BC (and the world for that matter) is unsustainable. Read a similar article a few weeks back about a BC Condo developer who was dropping prices 40%. As I read further, I though it sounded like a bottom was being made but then they said teh developer had dropped prices from 390 sq ft to 280 sq ft.
Did not realize your market was this over valued. Still a long way to go on the downside. You lost your footing there. You were discussing pot dealers and growers. The meth crowd is a different group. Just a correction, this Demographia study was not for the world, just the main, developed English speaking nations, 6 countries. Wow, don’t get me wrong, I like it a lot, but it doesn’t hold a candle to the better places I’ve seen. It’s imported sand, with muddy low-tide sea bed. Do you also appreciate the up close view of all the tankers loitering in the Bay? Great blog. I agree with every word. I was born in Vancouver and did high-svhool in the West End. I have been around the world a couple times, and doubt I will ever see another place quite as wonderful as Spanish Banks at low tide in July. BUT, the city really has grown up without proper infrastructure. I agree living costs are quite out of control. Even though I spent decades renting small but convenient and reasonably priced apartments, the only places that I could afford now are an hours drive from downtown. I moved to Edmonton a couple years ago. It does get cold yet it actually rained yesterday (end of January). It has great summer weather and lots of winter sun. I can drive anywhere at all in this city in the worst weather at 5 PM in less than 40 minutes. Yet I have rented 950 sq ft apartment — biggest of my life — on the 11th floor with great view for $1200 month. Such a thing would be double in Vancouver. Back in sixties I read all about plans for new bridges and tunnels to North Van and no-one is even thinking about them now. Rapid transit along Arbutus corridor was a big discussion point 30 years ago. Canada Line finally opens this year but still nothing to replace or back-up the Deas Island tunnel. I am afraid that in 50 yrs Vancouver will be a rich man’s playground and the downtown with the most real jobs will be in Surrey. Great post Ian! I am not optimistic myself, and am nervous for friends of mine who have bought property in the last couple of years. Don’t worry Ian, the current property decline won’t last long. In fact, now is a great time to buy! After all, don’t you think Bob Rennie would know more about this than you? Good points there Ian – especially about transportation. I’m always surprised to see people in Commercial Drive protest the twinning of the Port Mann Bridge here… They’ve obviously never driven it at ANY time of the day. BUT, I think there are a couple of factors you may not be considering when you liken our real estate to the rest of the country. Keep in mind, I’m certainly NOT saying that our property isn’t overvalued – as a home owner in Vancouver, I’m acutely aware of it. Compounding this is the fact that Vancouver has put itself on the world stage a few times – one more coming up with the Olympics – and people, globally have noticed that our location is desireable. That kind of recognition doesn’t do anything to help our locals buy affordable real estate. I could go on and on – but I won’t. Ultimately, do I think that real estate will plummet here in Vancouver? As a home-owner, believe it or not, I don’t care. Unless I move to a different city, all the boats rise and sink with the tide, so if I do sell – where the hell can I buy? There’s no real gain. Of particular pain in my backside is how Vancouver city raises property tax when values fall – and something tells me the taxes won’t fall when property values rise again… but such is the nature of the beast. So, do I think we’re going to have a meltdown? Kinda – to a degree. Will we ever even out with the rest of Canada? Don’t hold your breath. Don’t forget that when you’re talking about the “rest of Canada” you’re comparing not only Toronto and Montreal, but also Saskatoon, Red Deer, Ajax, Flin Flon and so on. Hardly apples to apples. So enjoy the access to “bargains” – they’ll be around for a bit. But don’t expect parity with the rest of the country… It just ain’t gonna happen.